Ben Garcia is on CanCham! 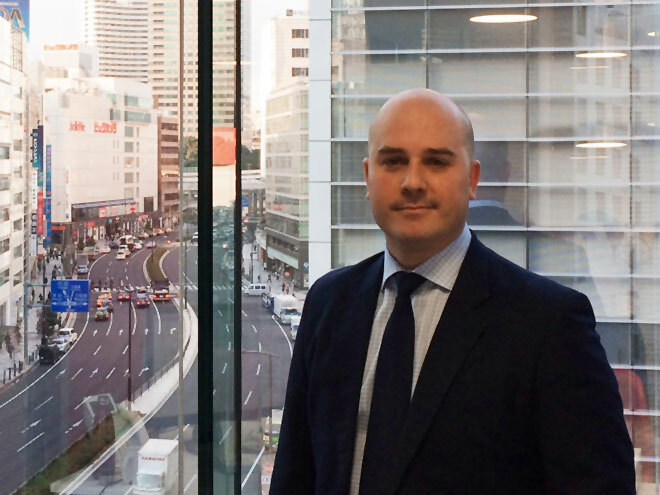 Ben Garcia, branch manager of AGS in Korea, is on the CanCham newsletter. My name is Ben Garcia and I am the country manager of AGS Movers Korea. Originally hailing from Alicante, Spain, I have spent the last ten years in Asia with brief stints in London, Paris and Prague for project reviews. Like many living in Korea, my time in Asia has not only been spent in one country; I have worked in China, Taiwan and Thailand. In 2007, the AGS group sent me to Korea to head up our operations here. The experience has been nothing short of incredible. I have had the privilege to meet some of the best business leaders and professionals in the world and have been fortunate enough to establish lasting friendships with many of them. Our team here at AGS Movers has also been honoured to help these individuals embark on the next step in their unique journey by conducting their relocations. Needless to say, I am very thankful for the achievements of the last two years. AGS is a leader in both the international removals and relocation industries. We are one of the largest removals companies in the world, with 125 offices in 82 countries. We also have extensive experience in the industry, having helped both corporate employees and private individuals with their relocations for over 35 years. We take great pride in the work we do because we understand that a well-executed move is the first step in helping someone adjust to a new environment. Making this process as easy as possible for clients is not only our goal; it is our duty. For this reason we invest an unparalleled amount of time and resources in technologies and training, which allows us to constantly improve our services. After all, at AGS, we truly believe that you deserve the best. As a multinational company, we have a responsibility to adhere not only to the highest ethical and professional standards as defined by our industry, but to those found in all areas of business. In pursuing this goal, AGS has become a major supporter of the United Nations Global Compact, being the first in the removals industry to sign the pledge. The Global Compact is a set of ten principles covering 4 essential aspects of sustainable development including human rights, environment, the fight against corruption and labour standards. Each member commits to promote and uphold these principles. AGS is a proud supporter of the Global Compact. As we all know, Korea can be a challenging place to conduct business. But this is also a country brimming with opportunity. The economy is dynamic and capable of responding to unforeseen challenges with a speed not seen in many countries. The work force is highly educated and has an inspiring work ethic, which could explain how a country with 48 million people has developed into the world’s 14th largest economy in a few decades. Looking to the future, one can’t help but be optimistic about Korea’s prospects.